They will swim over the top of you! Mantas are curious, no doubt about it. They will swim right up to you, look you in the eye, then swim away. It’s intense and it’s magical. However, don’t let this interaction lead you to believe that it’s ok to get too close. It is recommended that all divers and snorkelers stay 3m away from a Manta Ray, allowing it to move in whatever way it feels comfortable. If a Manta chooses to come to you, it’s a slightly different story. 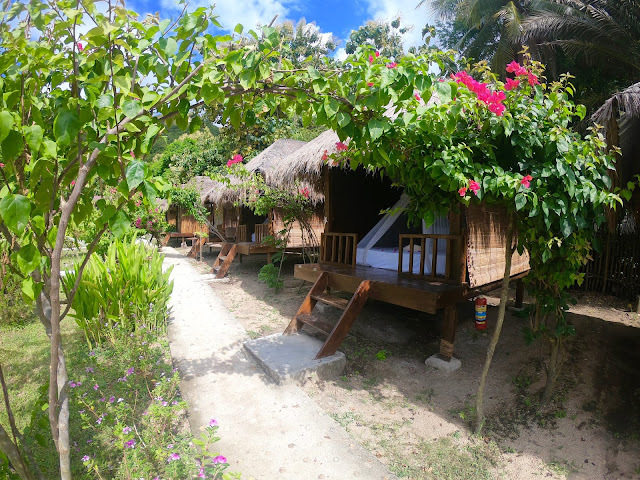 A great advantage of dive sites such as ‘Mawan’ in the Komodo National Park is that there is a huge sandy patch. This allows divers to get close to the seabed without fearing damaging corals, and the Mantas Rays will then approach them. Being approached by a manta is very different to swimming towards it. Allow them to control the interaction. 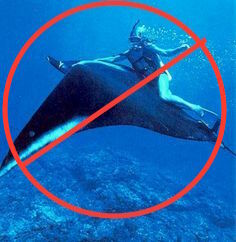 Many people get tempted to speed towards a Manta as fast as possible – fearing it will swim away not to be seen again. Let’s get one thing straight… A Manta Ray will always beat you in a swimming race. So, save your energy, save your air, and stay calm. Stay where you are and the manta will come to you! This is something that we cannot stress enough. The cleaning station and the behaviour associated with it is an integral part of their daily routine. It’s a fascinating thing to watch and an extremely important process for the health of the ray. Certain fish remove certain things. Some remove algae, some clean the gills, others clean wounds preventing infection. The reason these fish are in the area is because of the corals. By entering a cleaning station you could easily knock the corals, causes them to become distressed and possibly die. How do I know it’s a cleaning station? 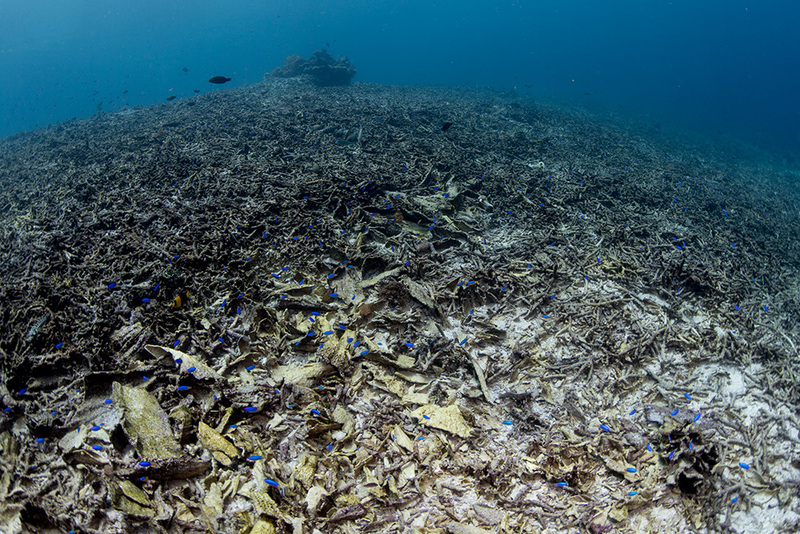 It’s difficult as any coral bombie has the potential to be a Manta cleaning station. The best thing to do is make sure you listen to your dive guides briefing and watch them during the dive. If you start getting too close they will call you back away from the cleaning station area. In most ‘Manta Dive Sites’ there will be a couple of main cleaning stations that the guides are aware of, they will bring you to them to show you but also control where you are in the water. 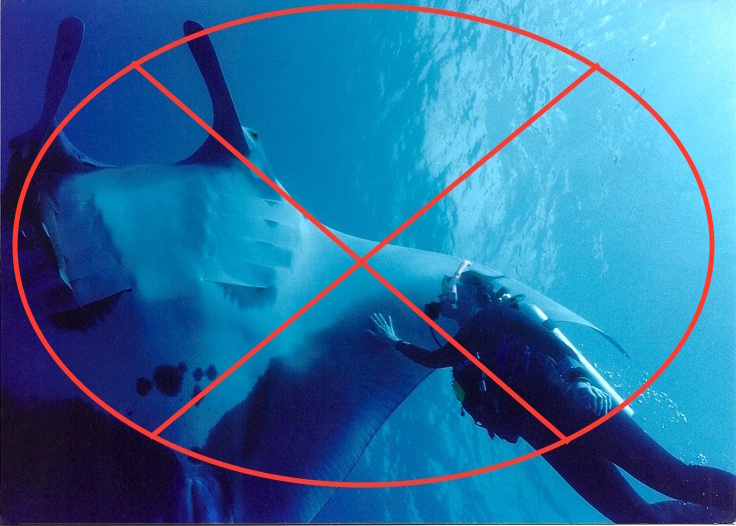 As tempting as it can be, when a Manta flies over the top of your head, to reach out and touch it…Don’t! By touching a manta ray you are disturbing their natural behaviour. Not only that, but we’re sure you don’t want random people touching you? 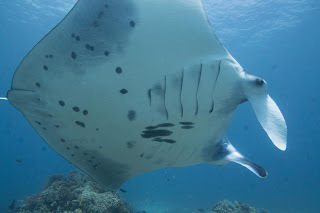 Mantas are much more likely to reduce their interaction time if they are touched. Using a bright light – especially straight into their eyes - can also be detrimental to Mantas. Again, you wouldn’t like it done to you, so don’t do it to them. It’s a sure fire way to end your manta interaction quickly. 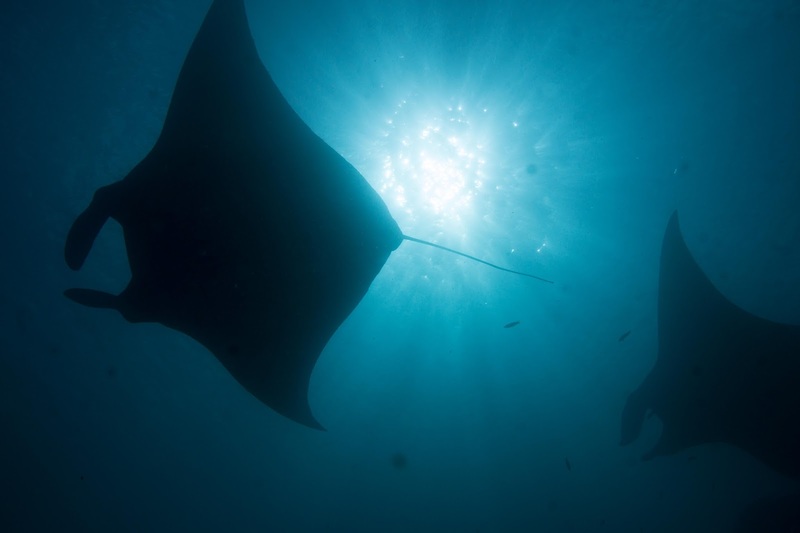 As we’ve already said, diving with Mantas is an unforgettable experience. By following these guidelines, not only will you extend your interaction time but also help make sure that Mantas will be around for future generations to enjoy too!